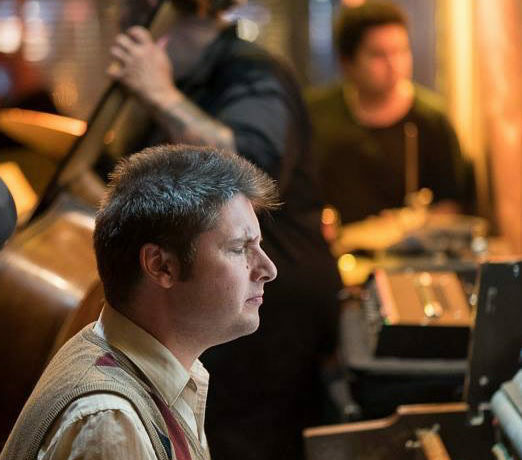 Jazz with Nick Culp offers tasteful and vibrant interpretations of standards and originals to add to the mood of your wine tasting experience. Nick Culp (Nicholas Gordon Culp) is an American pianist in the jazz idiom. Nick was born in Los Angeles, the son of Gordon, a professional classical guitarist and cellist, turned aerospace engineer; and Lynne, an English public school teacher. Nick showed great interest and aptitude toward piano since his first lessons at age 4. In his middle school years, he started attending the shows of John Magruder the big band director, a friend of his mother’s, which ignited a passion in him for jazz. He started working with the band’s pianist Michael Rocke who introduced him to the music of Charlie Parker and Bud Powell. While traveling in Europe in his early twenties, Nick discovered a new mentor in French pianist Bernard Maury, who influenced his harmonic style, and sent him on a path to take advantage of the rich musical academia Paris had to offer. There Nick obtained a degree at Ecole Normale de Musique, under the wing of Szymanowski protege, Michael Vladkowski, from ’99 to 03. 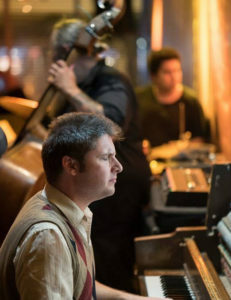 On his visits to his sister Miranda (a jazz singer) in the Bay Area, he once again started sitting in on jazz sessions where he rekindled his love of bop, which prompted his move to the Bay in ’04. Witnessing a lack of support for local artists of the medium, he established Gutbucket Records in September 2011, a not-for-profit label designed to record what he calls a “uniform sound” of local talent, and the music they love. He remains in Oakland, California.